Like most women, I have a serious love for all things chocolate. However, being a foodie, I am not willing to waste my calories on just any chocolate. Hershey’s doesn’t cut it for me. 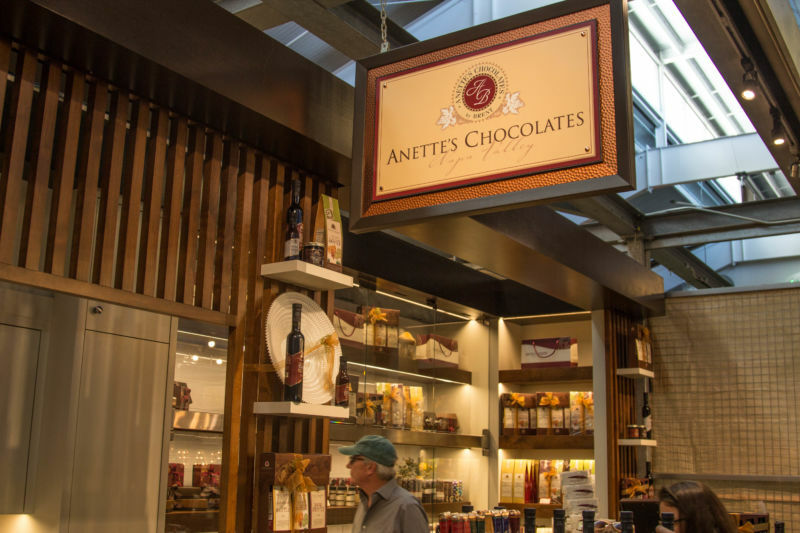 Thankfully there is a local chocolate maker that I absolutely adore; Anette’s Chocolates by Brent who sell their goods all over the Napa Valley area. We first discovered Anette’s by complete fluke on one of our first visits to Napa town center. We were having lunch and happened to walk by. I always love to “sniff” (my polite term for being nosy) in gourmet shops, so we went in. The Brit nearly jumped for joy when he saw that they make homemade ice cream there too. He immediately went over and got himself a scoop. I am a weirdo and don’t really enjoy ice cream that much. I did have a bite of his fresh peach ice cream and it was so delicious I was tempted to get my own scoop. There was a wonderful flavor to the ice cream: vanilla, cream, and natural peach with huge chunks of fruit; not overly sweet. I can still remember the flavors vividly, it was that good. The Brit comments: I do enjoy ice cream and eat it frequently, but despite the number of spoonfuls eaten since, I can still recall that peach ice cream; without a doubt, the best peach ice cream I have ever eaten. 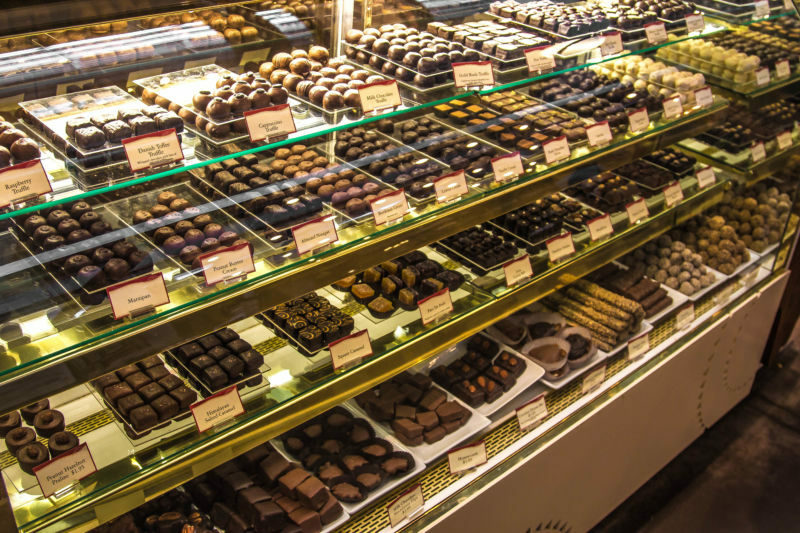 I had my eye on all the handmade chocolate. It is a rare thing that I treat myself to something sweet. Often the treat isn’t in my opinion worth the calories; memories of my mother’s nagging: “Two minutes on the lips forever on the hips!” plays through my mind. This day, however, I thought that since The Brit was chowing down on ice cream, I should be polite and get some chocolate. I am polite if nothing else. 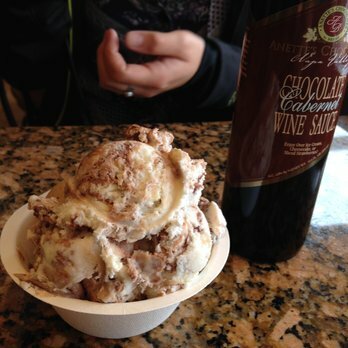 A love was born that day for their chocolate confections and ice cream. The Brit comments: Point of Order: I was not “chowing down” on that ice-cream, I was savoring every single wonderful mouthful. 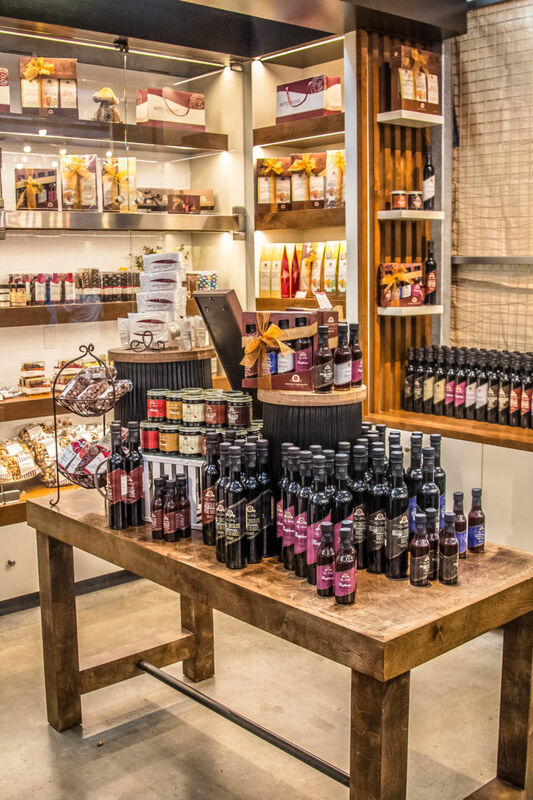 They also have wine infused chocolate syrups and sauces. Holy cow those are delicious! Pour them over ice cream and you have something truly wonderful. I have also drizzled them on grilled fruit. 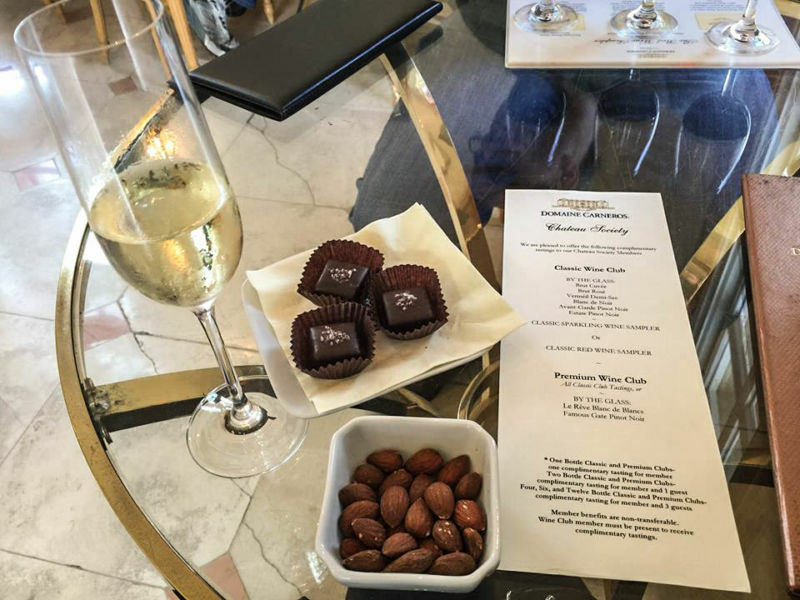 So here is a little guilty pleasure of mine and a tip for you: I go to Domaine Carneros and buy a couple of pieces of Anette’s dark chocolate sea salt caramels to enjoy with my tasting (They sell it in the lobby area by the piece or by the box). If you go there, make sure you try this little trick. It brings out all of the beautiful flavors of pear, vanilla, and general fabulousness of the sparkling wine. 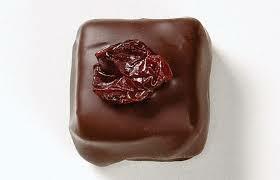 I normally go for the Brut and the dark chocolate sea salted caramel it is the most amazing pairing! Chocolate and sparkling wine = heaven! It is such a tradition with me that the girl’s at Domaine Carneros know me when I visit, as I always order the same thing. They get a very sad face from me when they run out of my special chocolates. They do sell other flavors there, but that is my favorite and the one that works the best. The chocolate is gourmet so it is on the pricey side. I tell myself that they are only little bites of chocolate so it can’t be that bad if I only have a few. That is my story and I am sticking to it! 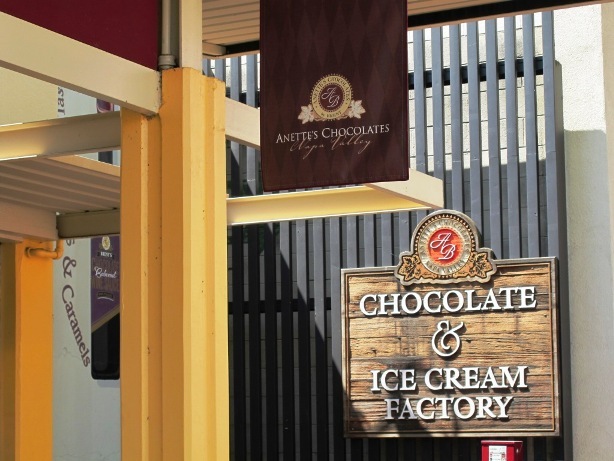 Make sure you visit Anette’s at either of their locations. You will be happy you did.